Frankenstein’s monster is an iconic horror figure that has terrified and fascinated audiences for generations and has done so in several different formats. 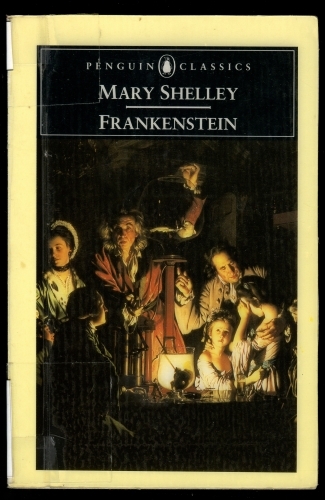 The reasons for this are varied and include the ideas that were present in the original novel written by Mary Shelley in 1818 titled Frankenstein; or, The Modern Prometheus. It tells the story of a scientist named Victor Frankenstein who creates a human being from the body parts of corpses. His reason for doing this is to bring life to a dead body, thus transcending death itself. This brings to mind the idea of zombies that are so popular right now in society as well as the idea of playing God. All of the fears that come with modern technology that can potentially cause chaos (such as the fears of cloning, or bio-engineered diseases) are all present in this story. Frankenstein’s creation is a hideous creature that wipes out his creator’s family, but is also portrayed as a somewhat sympathetic character. Someone who was brought into this world recklessly and thrown away by his father. The monster’s attempts to integrate himself into human society fail miserably and his subsequent rampage further increases the terror and misery caused by irresponsible scientific actions. This is reminiscent of the ideas presented in the Jurassic Park movies where bringing extinct creatures to life cause death and destruction. Even if the motives were possibly noble to begin with, who doesn’t dream of seeing majestic dinosaurs live again, the end results are always catastrophic. 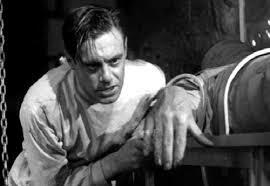 The many different movies in subsequent decades about Frankenstein’s monster show the lasting power of this story. 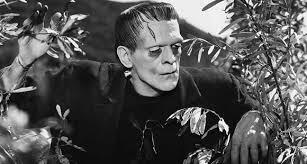 The most famous is obviously the classic 1931 film Frankenstein starring Boris Karloff. 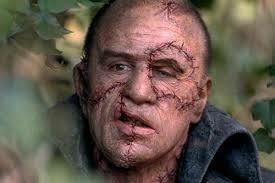 His great performance as the menacing creature is still remembered today and is the benchmark for any Frankenstein movie. The look and sound of the monster is what everyone thinks of now whenever the name Frankenstein is said. Halloween costumes, and TV shows like The Munsters all show how iconic that original design is. The story of Frankenstein’s doomed creature has been retold many times since the ’30s. 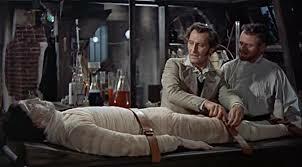 The Hammer film studio in Great Britain produced an excellent version in 1957 starring Christopher Lee as the monster and Peter Cushing as the mad scientist titled The Curse of Frankenstein. More recently in 1994, Kenneth Branagh directed and starred in Mary Shelley’s Frankenstein with Robert De Niro as the monster. While it received mixed reviews I think this is a great version of the story and is very faithful to the original novel. De Niro’s performance is both frightening and tragic and the film touches on all of the important ideas that Mary Shelley presented almost two hundred years ago. The idea of the all-too human desire to cheat death at almost any cost still resonates with us. Another theme it explored was that science is seen at first as the way to salvation and a better life, but the characters realize that these visions of ours don’t always come true and sometimes make things much worse. The fact that Shelley was only 18 years old when she wrote this classic novel is impressive and the fact that almost two centuries have passed since its publication show that great ideas that touch on fundamental themes always stand the test of time, and still have relevance regardless of the genre and the times. In addition, while the novel and movies are seen as firmly in the horror camp for obvious reasons, it can also be said that they are in the realm of science fiction as well with its previously mentioned emphasis on science and research into both biology and questioning what it means to be human. Frankenstein is definitely a story that asks these questions and will continue to both scare and thrill audiences, this Halloween and for years to come.